The UK is lucky to have a wealth of well-preserved, historic buildings that attract visitors from around the world. To maintain these properties, a considerable amount of work and money has to be invested to ensure that they are still around for generations to come. In terms of roofing, this means that old, failing roof tiles need to be replaced with new ones to protect the structure and interiors of these valuable properties. However, these heritage projects are often far more complex than installing a standard roof on a volume housing project. Manufacturers, clients, architects and bodies such as Historic England will work closely together to achieve the desired finished result. 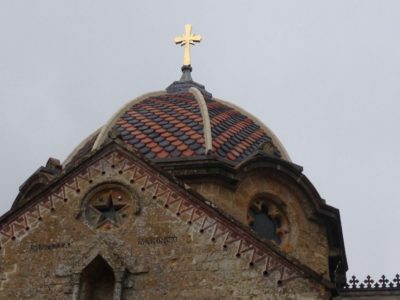 Using the correct material is vital to a heritage project, as strict regulations often require roof replacements or repairs to be carried out with like-for-like products. New roofing tiles with the correct profile, colour and texture are needed to match existing tiles, the age and style of a building and the surrounding environment. 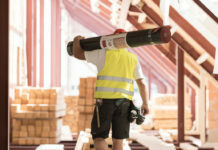 The heritage roofing sector is dominated by clay products, and it is common for bespoke tiles to be specially made for projects where the original roof design needs to be strictly adhered to and mass-manufactured products aren’t suitable. After clay, it is also typical for natural stone, natural slate and thatch to be used on heritage projects. The challenge doesn’t end with sourcing the right roofing tile. An immense amount of planning and preparation goes on behind the scenes on a heritage project as attention to detail is paramount. 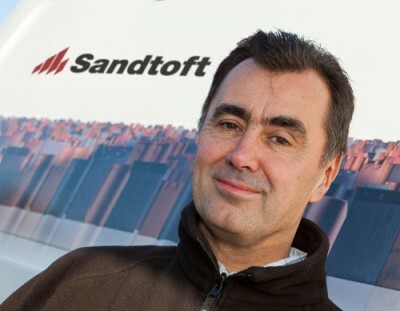 Correct installation is as important as choosing the correct product to work with. Roofing contractors who have experience of historic buildings work with a high level of craftsmanship due to the demands of heritage roofing. Modern roofing tiles have been developed with a host of design features that make installation as quick and simple for the contractor as possible. No such luck with traditional roof tiles! They are often more difficult to fit and require traditional installation methods (such as using lime and mortar). This means that the pace of work is much slower, but an exceptional finish that is faithful to the original build is considered more important than a quick installation. 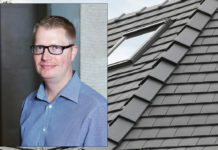 Taking inspiration from the UK’s historic buildings, we’re seeing a trend for new-build constructions adopting the look of heritage projects by using products such as traditional handmade roof tiles. Customers often prefer the look of a roof that appears to be aged and weathered rather than a roof that is very obviously brand new. 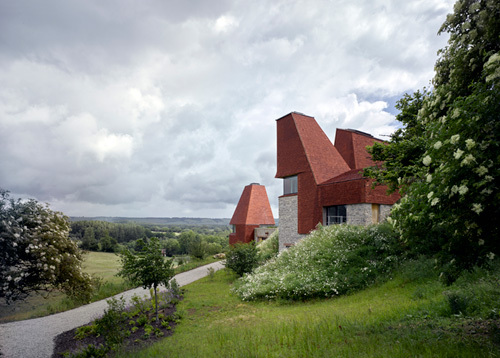 The Caring Wood RIBA House of the Year project is the perfect example of a new home being made in a historic style and incorporating traditional Keymer handmade tiles for an oast house style design. One issue with the popularity of traditional roof tiles and the “heritage” look is that customers are looking to use reclaimed materials as they don’t realise that you can achieve the same effect with a new product. Using reclaimed materials for construction and interior design is growing increasingly popular, with the rustic look continuing to be an ongoing trend. More people are looking to upcycle items and use authentic materials from earlier time periods, as they are conscious that recycling old materials is environmentally friendly and sometimes cost-effective. However, we’d advise that with such a significant investment and crucial structural element as a roof, new tiles are always best. As we all know, re-roofing a house is a significant cost, so it is essential it is done correctly. With new tiles, the customer has peace of mind that it will last many years without repairs or replacements required. There are risks to reusing old tiles, as there are no guarantees on their performance, remaining lifespan and quality. You are dealing with many unknown factors, making a reclaimed roof tile roof unpredictable and potentially risky. It is a simple fact that a roof constructed using reclaimed roof tiles will fail sooner than one with new tiles. Rather than saving money, decent quality reclaimed tiles can often be quite expensive as they are scarce and therefore a premium product. Some individual tiles may be in good condition, but a batch of old tiles would need to be carefully sorted through and checked to ensure that they are suitable for installing on a roof. Thoroughly checking tiles is a very time-intensive process and imperfections may not be obvious, such as hairline cracks. Don’t forget that there is a reason that these tiles have been removed from a roof! If you are going to use some reclaimed tiles on a project, we would advise you not mix old tiles with new tiles on a roof. They will be easier to remove and replace when they do start to fail if you install them on a lower or separate elevation. So when it comes to achieving a heritage look with roof tiles on both historic and modern projects, it is better to fake it with new tiles instead of old reclaimed originals. Roof tiles in a variety of colours and styles are available, some of which have been designed with weathered, rustic look in mind, featuring irregular colour patterns and sanded textures for that “faux heritage” aesthetic. 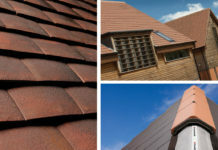 Wienerberger offers an expansive modern range, as well as handmade Keymer tiles and bespoke tiles made by our Heritage Services team which can add charm and character to any roof. Previous articleNew clips to make your life easier! 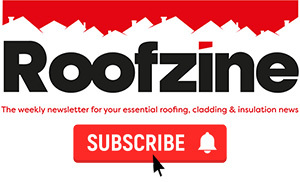 Is heritage and traditional roofing work compatible with BS 5534?